Chloe Smith seemed buoyant as she spoke with David Cameron just now – it was an impressive win for her and the Conservatives. She should enjoy the lime light because it doesn’t last. Has anyone heard anything about Edward Timpson in the last few months? 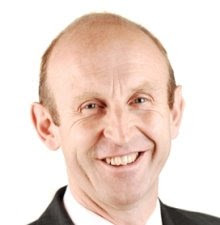 To be fair to the Tory MP, who took Crewe and Nantwich, he’s been beavering away for his constituents – you just don’t get much coverage as a backbencher. 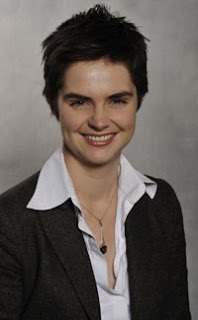 Chloe – is it just me or does she have something of the Ruth Kelly about her – will now have to get used to the more tedious realities of parliamentary life as a junior MP. 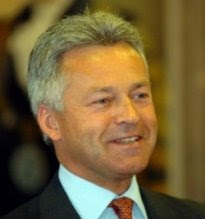 They include days spent sitting through delegated legislation committees, communicating with the leader through a burly chief whip and trying to stay awake while Sir Peter Tapsell or Gerald Kaufman bangs on in a debate about badgers or something. Dr John Grenville, of the Derbyshire Local Medical Committee, made the following comments when I chatted to him about the Government's handling of the swine flu pandemic. Doctors, he said, are arguing that not everyone should be getting Tamiflu, but the feeling is politicians will be too scared to tell the elctorate that. 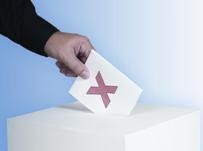 “There is a feeling amongst clinicians that advice is going to the politicians and then decisions are being taken on a mixture of clinical advice, plus what the politician thinks is politically good or bad. “The politicians would say it’s their job to judge the mood of the public and to take decisions based on that – but we are now confronted with a situation where politicians should lead not follow public opinion. …in extreme cases that is. But other more common side-effects include vomiting and diarrhoea. I was told that by a senior member of the British Medical Council who reckoned the Government are being far too “free and easy” with the anti-viral drug. 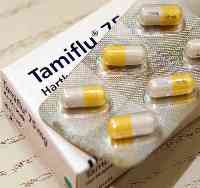 At the moment the system is – anyone who has anything resembling swine flu is plied with Tamiflu. But this doctor said most people should just rest and take fluids with the drug being saved for the most serious cases. Apparently so many people are now taking it that added pressure is being put on GP surgeries from people coming in complaining about the side effects. Tamiflu was good for politicians, he said, because it could make them look like they were doing something. The press briefing earlier was one of the better ones Brown has done recently. Not that it was overly gripping – but at least he seemed to relax a bit about half way through which meant he didn’t go all defensive. It was surprising because the first answer he gave was particularly rubbish – he’d been asked whether he agreed with four fifths of people in a survey who reckoned cuts would have to be made after the next election. He replied that it was all about the way in which you asked the question. If, instead, you asked people if they thought spending on police and ambulances should be protected then they would say yes. On the whole though it felt like the PM was loosening up for a summer holiday, even though he said he was only going away for a few days. He even chuckled at one reporter’s suggestion that he deserved a longer holiday – “Berlusconi’s villa seems fun,” she said. Did anyone hear Sir Nicholas Winterton in Expenses – the MPs' story on Radio 4 just now? The piece started exploring the lovely view from his office and then went on to him talking about how the last few months had been "hell". Let's just remind ourselves of what he’s endured.